As reported below, Sony announced its first truly universal disc player, the UHP-H1, earlier this year at CES – Sony's first-ever player to support DVD-Audio in addition to Blu-ray Disc, DVD-Video, SACD and CD-DA.. Shortly afyrt CES however, a new optical disc format was launched – Ultra HD Blu-ray – so now, the definition of 'universal' has changed. The first Ultra HD Blu-ray players by Samsung, Panasonic and Philips focused on video playback. Although the Panasonic DMP-UB900 has some good audio features including DSD playback and analog multichannel outputs, none of these players supported SACD or DVD-Audio. All this changed at CEDIA: Sony unveiled its UBP-X1000ES while Oppo Digital did the same with its UDP-203. Both players can handle the complete range of disc formats including Ultra HD Blu-ray, BD 3D, regular BD, DVD-Video, DVD-Audio, SACD and CD-DA. The Sony UBP-X1000ES looks just like the UHP-H1, but a lot more has been added than merely the triple-layer format with 66 and 100GB capacities: It also features Quad DSD processing, RS-232C, IP control, an IEC power cord and more to appral to the Tier-1 CE segment. In fact, the player will only be available through Sony-certified retailers and custom installers. It may not look like the ES Series of old but it does come with 3-year warranty. It will be available from Q1 2017. The Oppo unit will be available sooner: "late 2016", according to the company. This player, with a custom-developed MediaTek processor, will be the first UHD BD player to support Dolby Vision HDR in addition to the mandatory HDR10. It will also have 7.1-channel analog outputs. 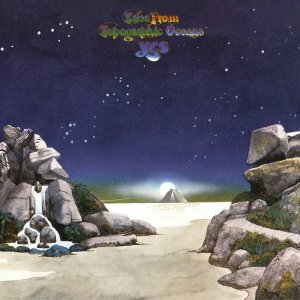 Yes' Tales From Topographic Oceans is the fifth in a series of remixed and expanded Yes albums featuring 5.1 and stereo mixes by Steven Wilson. Like previous reissues, the album comes in a Digipak case (inside a slipcase). This one contains 2 CDs and 2 DVD-Audio discs, plus a booklet featuring new sleeve notes by Sid Smith, rare photos and archive material, and elements of new interviews with Jon Anderson, Steve Howe and Alan White. 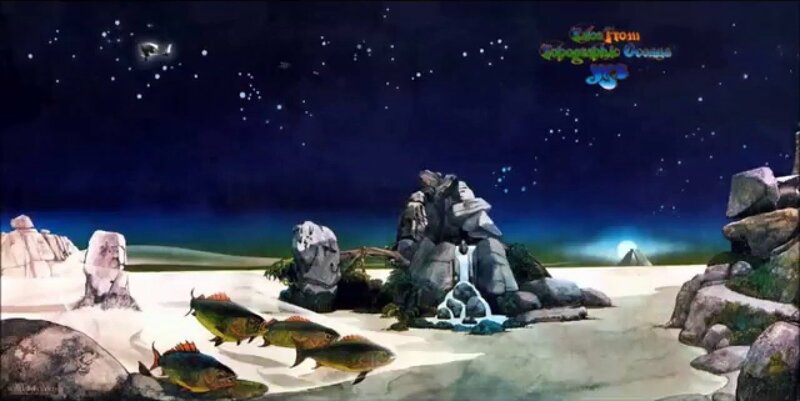 The original artwork was expanded, restored and approved by Roger Dean. 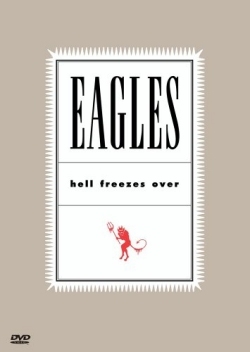 the original album mix in a hi-res flat transfer from the original stereo master tape source. The CD bonus tracks include five single edits and an alternative Dance Of The Dawn. 5.1 DTS-HD Master Audio Surround (24bit/96khz) mixed from the original multi-channel recordings. the new stereo album mix in DTS-HD Master Audio (24bit/96khz). the original album mix in a DTS-HD Master Audio flat transfers from the original master tape source. (24bit/192khz), probably the earliest master of the original mix to be issued in the digital era. (This master was also used for the original stereo on the CDs). 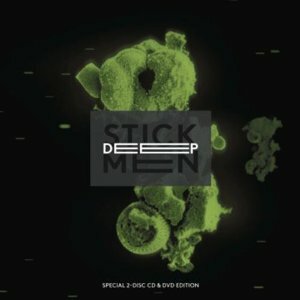 full alternative album featuring: sides 1 and 3 from the 2003 Rhino CD, previously unreleased studio run-through of Side 2 and previously unreleased live version of Side 4.
exclusive needle-drop of an original UK vinyl pressing transferred in 24bit/96khz audio and US branded promo pressing. exclusive instrumental versions of all new mixes in DTS-HD Master Audio stereo (24bit/96khz). 2016 stereo and 5.1 remix of Dance of the Dawn plus 5 single edits (stereo only) all mixed from multi-track by Steven Wilson. Both editions will be released October 7. 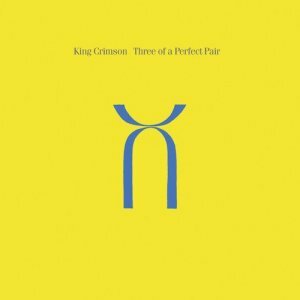 Steven Wilson has completed two more album remixes in King Crimson's 40th Anniversary series – Beat and Three of a Perfect Pair raise the number to twelve. Beat, the follow-up to Discipline, was originally released in 1982. 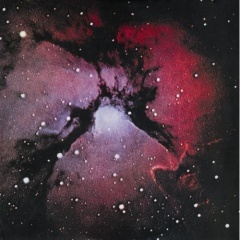 The album has been mixed for 5.1 Surround Sound from the original studio masters by Steven Wilson and is fully approved by Crimson founder Robert Fripp. The CD features a completely new stereo album mix by Robert Fripp and Steven Wilson plus a studio version of the otherwise unreleased track Absent Lovers. The DVD-A features a 5.1 DTS Mix and High Resolution Stereo mixes. 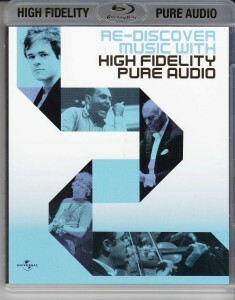 Also included on the DVD-A: a 5.1 Lossless audio mix and Lossless Stereo mixes; both the original album mix and the new album mix in High Resolution stereo; the complete album in rough mix form dating from the time of the original sessions; performances featured on German TV live from The Alabamahalle nnd the original, rarely seen, promo film for Heartbeat. Three of a Perfect Pair, originally released in 1984, is the final part of the trilogy begun with Discipline and Beat. Also this album has been mixed for 5.1 Surround Sound from the original studio masters by Steven Wilson and is fully approved by Crimson founder Robert Fripp. The CD features a completely new stereo album mix by Robert Fripp and Steven Wilson additional studio tracks mixed by the duo. The DVD-A features a 5.1 DTS Mix and High Resolution Stereo mixes. Also included on the DVD-A: a 5.1 Lossless audio mix and Lossless Stereo mixes; both the original album mix and the new album mix in High Resolution stereo; additional tracks from the 30th Anniversary edition plus the promo video for Sleepless. Both albums will be reissued by DGM as Deluxe two-disc edition, each containing a CD + DVD-Audio (NTSC,/Region 0). 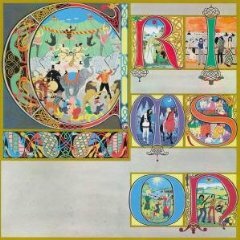 Furthermore, SW's site mentions that all material on both titles will be a part of a forthcoming King Crimson boxed set titled On and Off The Road 1981-1984, also due for release in October 2016. At the beginning of this century, fairly soon after the first DVD-Audio/Video players were launched, universal players that supported SACD as well came to market, pioneered by companies like the aptly named Pioneer. By the end of the decade, we got Universal Blu-ray Disc players that handled all of the above formats. There have always been holdouts however – Panasonic never supported SACD (although they recently have started featuring DSD) and Sony never supported DVD-Audio. Until now, that is. Some 17 years after the format’s launch, Sony releases an almost universal disc player, the UHP-H1. Close-up pictures of the back panel confirm DVD-Audio/Video compatibility, a first for the company. Times have changed and evidently Sony acts more pragmatically. Besides a wide range of disc formats the premium A/V player supports a large selection of audio codecs, wireless networking protocols and video streaming services. The Sony UHP-H1 is available now. 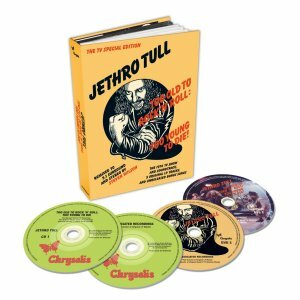 Jethro Tull’s Aqualung album is reissued in a 2CD+2DVD box set similar to the reissues of Too old to rock 'n' roll, too young to die and Minstrel in the Gallery. 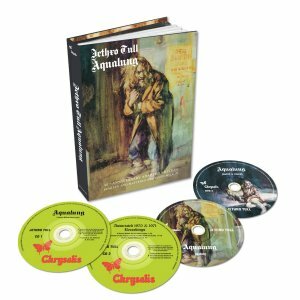 Aqualung was actually the first Jethro Tull album remixed by Steven Wilson and was originally re-released as a 40th Anniversary package in 2011. This more accessible release features the remixes as Steven delivered them and a flat transfer of the EP Life is a Long Song. Three additional tracks - Just Trying To Be, Wind Up (early version) & Wond’ring Aloud, Again (full Morgan version) are now available as 5.1 mixes. Two of the tracks Life Is A Long Song & Up The Pool have never previously been available on CD in this form. The second DVD is a DVD-Video disc. It contains the 1971 Life Is A Long Song promotional film with new remixed stereo soundtrack. Also included with the 40th Anniversary Edition is an 80-page booklet with articles and photos. The new box set will be available from November 27. 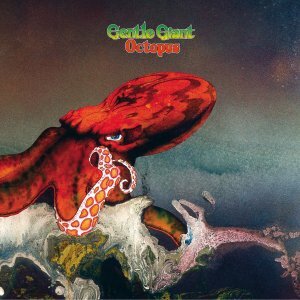 A new Prog Rock reissue in 5.1 by Steven Wilson: Gentle Giant's Octopus. It's the band second album he's taken on. As opposed to the previous one (The Power and the Glory; see below), which was offered in a choice of DVD or Blu-ray Disc, this one is only issued on BD (bundled with a CD, of course). Yet, it only seems appropriate to list it here. Bonus content consists of a 16 minute live track, and on the BD a flat transfer of the original 1972 mix plus instrumental mixes. Release date is October 30. In 2006 , Sir George Martin with his son Giles made new high-resolution PCM transfers of all Beatles multi-track master tapes and remixed them into a fantastic magamix, blending together bits and pieces from the entire reportoire into a whole new creation of 80 minutes called Love. The compilation, in 5.1-channel audio and stereo, was released on DVD-Audio (bundled with a CD that's 2 minutes shorter). 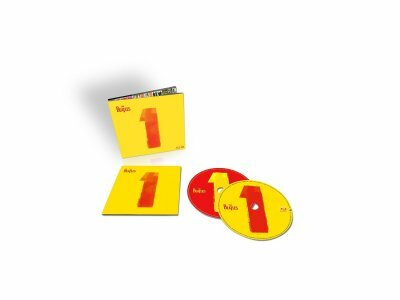 Now, nine years later, at Abbey Road Studios Giles Martin and Sam Okell (with support from Jeff Lynne and Steve Jay) have given the multi-channel high-resolution treatment to the '1' compilation album from 2000, which contains all 27 number-one hits as full tracks. The new reissues come in eight variants, some of which include a disc with all associated music videos, which have been carefully restored in 4K from the original 35mm films. 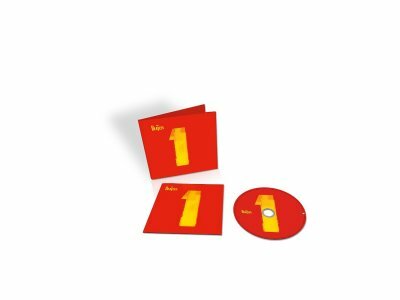 The '1+' Deluxe editions come with a second video disc containing 23 additional videos, a 124-page hardcover book and special packaging. The CD contains new stereo mixes; the audio on the video discs is presented in Dolby Digital 5.1 and DTS (HD on the BD). Release date for all versions is November 6. More details on Amazon. 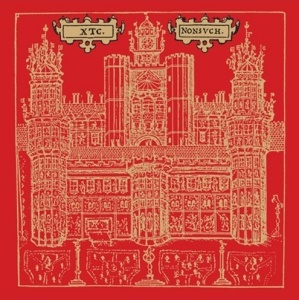 Following on to the remixing of XTC's Nonsuch (see further below) and Drums & Wires, Steven Wilson has remixed XTC's album Oranges & Lemons in 5.1. In contrast to previous reissues however, this one will not get a DVD release, only a Blu-ray Disc + CD release, available through both Amazon US and UK. There are more, but for us the interesting part is that both UMGi & Sony BMG are putting out DVD-A/V hybrids again. I'll try to get some detailed posts done soon but time is short these days (which is of course a good thing, as I still believe a DVD-A/V hybrid is the most cost-effective way to put out high resolution & surround mixes - Yes, Blu-ray Disc gets us a lot more room on discs and the graphics are undoubtedly superior but it is a very expensive format to replicate because of the mandatory Copy Protection that doesn't work). The Rob Reed one is a heartfelt tribute to Mike Oldfield's early work (Bells, Hergest Ridge & Ommadawn) and Andy Jackson is of course the mix engineer for Pink Floyd, and S2N is his first solo album – and very good it is too. 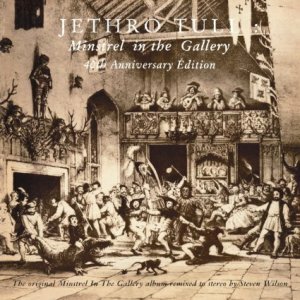 Following Benefit (see further below), Steven Wilson has remixed and remastered Jethro Tull's 1975 album Minstrel in the Gallery. 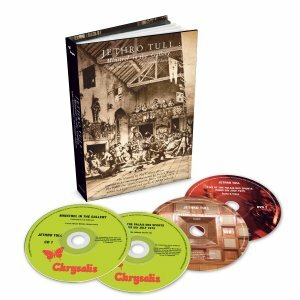 The 40th anniversary edition double CD + double DVD boxset contains the original quad mixes and a Steven Wilson 5.1 remix in Dolby Digital and DTS on DVD. It's available as of this week. One remix project which is planned for later this year is the classic 1972 debut album by Roxy Music. More on that later. In the meantime, here is a complete list of remix projects Steven Wilson has done (including some albums yet to be released). 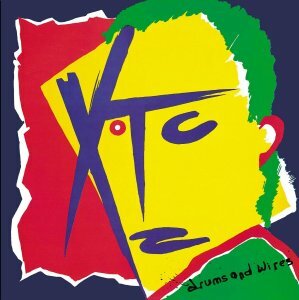 He adds: "On a personal note, if you are a fan of great music in 5.1 surround, please allow me to point you towards the relatively less known XTC and Gentle Giant albums as being amongst my favourites on this list (music and mix)." See further below for more details. 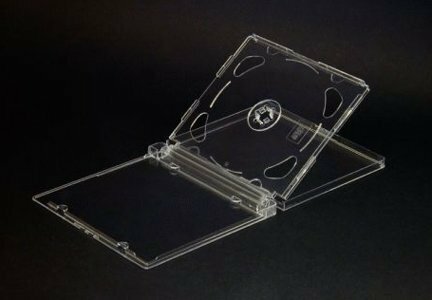 If you're looking for replacement DVD-Audio cases, here may be the solution. Most DVD-Audio titles come in a 'Super Jewel Box'. 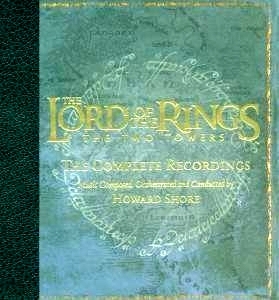 This packaging is an improved version of the classic CD jewel case and comes in three sizes: 'standard', which is used with SACDs; 'king-size', which was used for DVD-Video for a while (in the early days; mostly for music titles) and 'plus-size', the intermediate dimension, which was chosen for DVD-Audio. There are not many places selling them but here's a vendor on Amazon offering them. 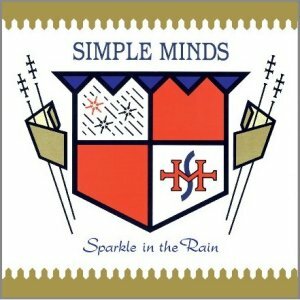 In the latest Steven Wilson reissue news, Simple Minds' Sparkle in the Rain gets a similar treatment like TFF's Songs from the Big Chair (see below). The album, produced by Steve Lillywhite, is the successor to New Gold Dream – one of two albums already issued on DVD-Audio years earlier; the other one is Once Upon a Time, the album that in turn was the successor to Sparkle in the Rain. CD 1: a re-master of the original album made at Abbey Road Studios by Andrew Walters and overseen by Charlie Burchill. CD 2: a collection of extended mixes and B-sides, some issued on CD for the first time. CD 3 and CD 4: a previously unreleased 13-track concert recorded live at Barrowland on 28th February 1984, plus a three-track BBC Radio 1 session from September 1983. 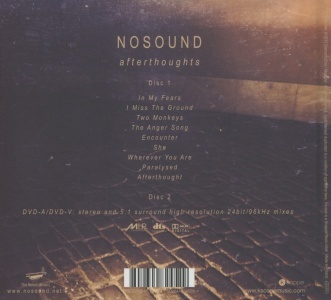 DVD-Audio/Video (NTSC, Region 0): the 5.1 surround sound mix, remixed from the multi-track master tapes by Steven Wilson, as well as a high-res stereo mix. The disc is finished off with the original promo videos, Top Of The Pops and Oxford Road Show performances of Waterfront, Speed Your Love To Me and Up On The Catwalk. The multichannel mix is presented in three formats: Dolby Digital and DTS (compatible with all DVD-Video players) and MLP, only playable on DVD-Audio players. Extensive track details listed here. UPDATE: Amazon does list a stand-alone DVD-Audio release. For what it's worth, here's the top 20 of best-selling discs through this site of 2014. A big thanks to everyone who visited this site, making it worthwhile to keep mainting it. 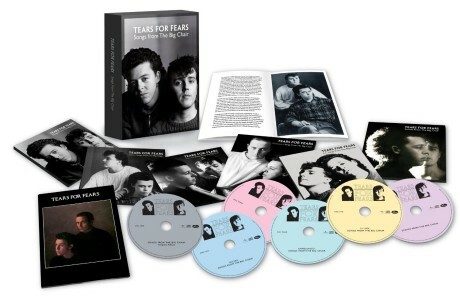 My remix of Tears for Fears' iconic 80’s album “Songs From the Big Chair” is included on a 30th anniversary reissue, to be released by Universal Music Group on 4th November. 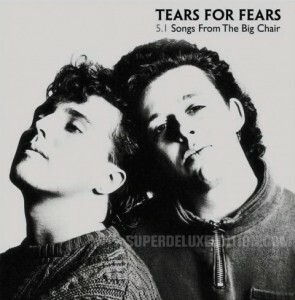 Songs from the Big Chair was one of the biggest albums of the 80’s, and particularly successful in the USA where it reached number one in the Billboard chart on its way to selling several million copies. It features two US number one singles, Shout and Everybody Wants to Rule the World, as well as 2 more hit singles Head Over Heels and Mother’s Talk. 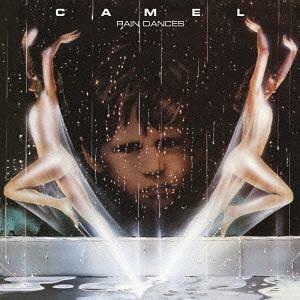 It’s a brilliant record by a truly innovative 80’s band - both accessible and ambitious. The reissue will be available in several different formats including a stand-alone Blu-Ray and a comprehensive 6 disc deluxe edition with live tracks, singles, B-sides, TV/radio appearances, remixes, videos, and the original mix. There will also be a vinyl edition of my new stereo mix. The new stereo and 5.1 mixes were overseen and approved by Roland Orzabal (and are included as flat transfers with no mastering). The same 5.1 mix in 24/96 PCM, DTS and Dolby Digital as well as the stereo transfer in high-resolution are included on the Blu-ray Disc edition, which is issued as as stand-alone product – at least in Europe; Amazon US doesn't list it yet. It's part of Universal Music's High Fidelity Pure Audio (HFPA) BD program. Another first is that this is apparently Steven Wilson's first work for UMG. The releases are due November 11. There's also an SHM-SACD of the album that came out recently but that's high-resolution stereo only. 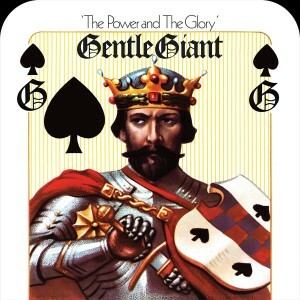 In his ongoing quest to remaster and remix every great prog rock album in history, Steven Wilson has this time turned his attention to Gentle Giant. The band's album The Power and the Glory is available since this week on CD + DVD-Audio and CD + Blu-ray Disc. These contain a high-resolution stereo and 5.1-channel mix plus several bonus contents. It has taken quite a few years for it to get up to speed but thanks to an initiative from Universal Music Group we are finally starting to see some more audio-only Blu-ray Discs with high-resolution and in some cases multichannel sound. UMG calls them 'High Fidelity Pure Audio' (HFPA). All of the albums are back-catalog reissues, from various UMG labels spanning different genres. Some of them have been reissued on DVD-Audio before, others on SACD and yet others are issued in hi-res for the first time. For those who are interested there's an overview of titles here. In 2008, Universal Music announced a 35th Anniversary Edition of Emerson Lake and Palmer's Brain Salad Surgery. It was supposed to feature an SACD with a 5.1 mix of the album. 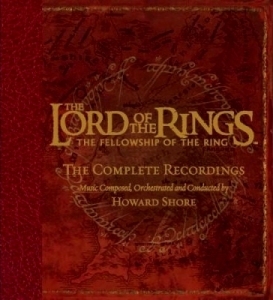 The deluxe edition released but reportedly (though the reports are confusing) it was with a DVD-Video containing Dolby Digital 2.0 and DTS 5.1 mix. This 5.1 mix had been made and released on DVD-Audio earlier, in 2000. 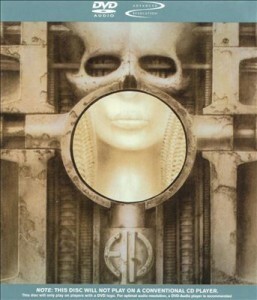 Now Neil Wilkes writes: "We are currently working on the 2014 edition of ELP's Brain Salad Surgery featuring the original stereo mix remastered by Andy Pearce (who has done a very nice job of it too) and new stereo & 5.1 mixes by the multi-talented Jakko Jakszyk with all content in 24/96 Advanced Resolution as well as PCM & DTS 9624 in the Video_TS with Dolby Digital 48K for legacy users. This classic release has never sounded so good." We'll keep you posted about its release. 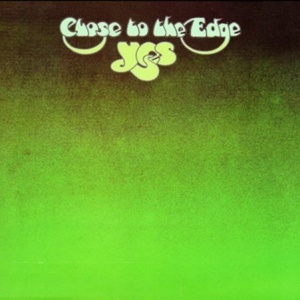 In the meantime, Steven Wilson has remixed and remastered a second Yes album (after Close to the Edge) – The Yes Album. It comes as a double digi-pack format in a slipcase with a booklet featuring new sleeve notes by Sid Smith, along with rare photos and archive material. The album has been mixed in 5.1 from the original studio masters and is fully approved by the band. It is due for release April 14th. An expanded version of Going For The One is supposed to follow later this year. 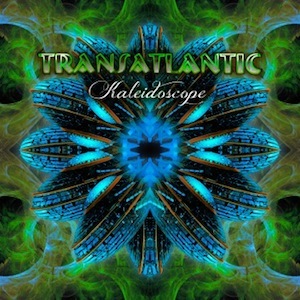 One Prog Rock album that is available right now is Kaleidoscope by Transatlantic – a progressive supergroup featuring Neal Morse (ex-Spock's Beard), Mike Portnoy (ex-Dream Theater), Roine Stolt (The Flower Kings) and Pete Trewavas (Marillion). This is their new studio album, "featuring five epic tracks that combine Classic (Yes, early Genesis) and Neo Prog elements" [Burning Shed]. The 5.1 mix is on DVD-V – not DVD-A. The DVD also features a promotional video and a making-of documentary. It comes with 2 CDs, one with album in Red Book stereo, the other a bonus CD including covers of pieces by the likes of King Crimson, Focus and Procol Harum. Interesting to see, isn't it? There's just no end to the flow of Prog Rock album reissues remastered and remixed into 5.1 by Steven Wilson. 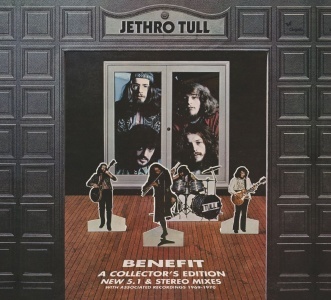 This time it's an album by Jethro Tull – Benefit. The songs are now available in mono, stereo and 5.1. Two discs in the package are regular audio CDs, also including related recordings from 1869-1970. 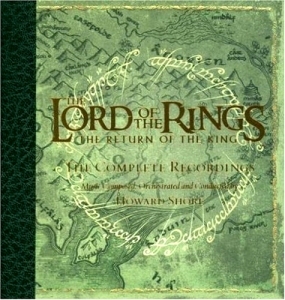 This Deluxe 'Collectors Edition' is available as of October 29, so already. Two new Steven Wilson projects will see the light this month: 5.1 remixing and remastering of XTC's Nonsuch and Close to the Edge by Yes. Both albums are released as CD+DVD-Audio and CD+Blu-ray Disc bundle. Follow these links for the BD issues of Nonsuch and Close to the Edge. 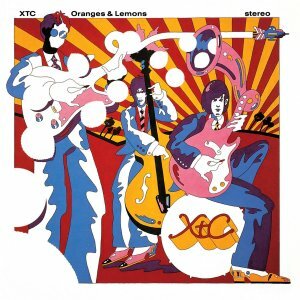 The XTC album is due October 15th; the Yes one the 29th. Lots more details here and here. It is available from Amazon.com as Japanese import but at almost twice the price of Japanese sources like CD Japan. 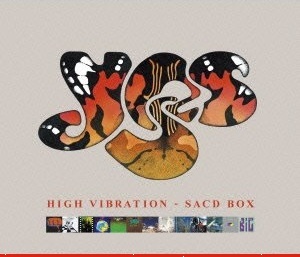 Traditionally, Prog Rock has been much better represented on DVD-Audio than on Super Audio CD but the last couple of months a number of interesting reissues have taken place on SACD, albeit in stereo only, including Going for the One and, again, Close to the Edge by Yes, plus mastered Hemispheres and Counterparts by Rush. 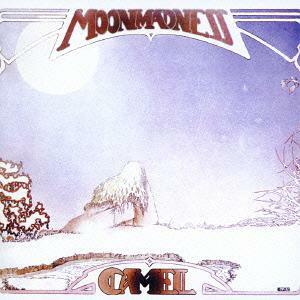 These albums, along with several others, have been remastered by Kevin Gray and been released by Audio Fidelity. Several new titles have come to market since the last update. News comes through Neil Wilkes of Opus Productions who has mastered all of these DVD-Audio discs. Neil Wilkes writes: This wonderful record is now available in a multitude of formats & could easily be described as a complete multimedia project, featuring CD, CD/DVD-A/V, downloadable (in both lossy & lossless) as well as graphic novels & even a full print version too. There is a 2-track sampler available for free download as well on the Opus Productions website. 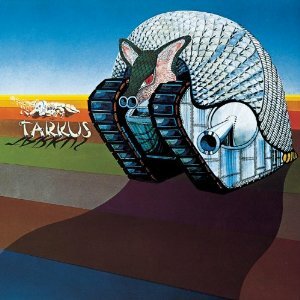 Neil's take: A power trio comprising of Tony Levin, Pat Mastellotto & Markus Reuter, this also features fully lossless 5.1 & stereo mixes at 24/96 resolution plus DTS 96/24 & LPCM stereo for DVD-V players and if that was not enough already, there is a special bonus film-come-documentary also included featuring live versions of various tracks from the album. Again, more news as I get it but I can honestly say we have had an awful lot of fun with both of these titles. 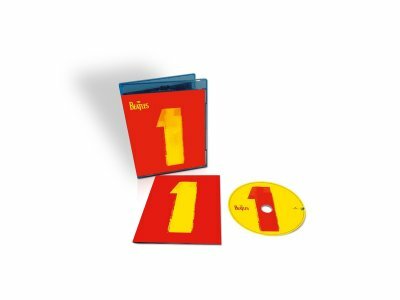 The 2-disc edition featuring the stereo mix of the album on CD plus a DVD-A/DVD-V (NTSC 16:9, Region Free) with stereo and 5.1 surround high resolution 24bit / 96kHz mixes, plus DTS and Dolby Digital 5.1 surround versions. The first 500 pre-orders of the album from the Kscope store will receive a bonus CD featuring instrumental versions of all the tracks on the album. 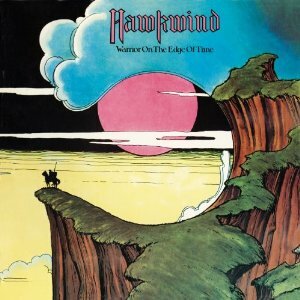 Neil says: Featuring new stereo & 5.1 mixes by multiple Grammy-nominated Steven Wilson and also a flat analogue transfer of the original stereo mix, all at 24/96 resolution, this long awaited update to Hawkwind's seminal 1975 release is out on Esoteric Records in the UK. Content is in MLP Lossless, DTS-96/24, DD and LPCM. 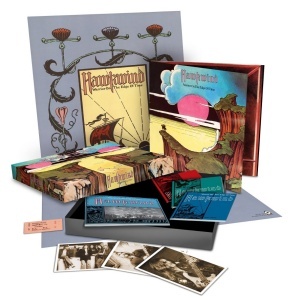 Amazon quotes the press release: The expanded 3-disc deluxe remastered edition of Hawkwind s classic 1975 album, featuring the remastered version made from the original analogue master tapes PLUS 8 bonus tracks, five previously unreleased. Disc 2 features a new stereo mix by Porcupine Tree founder Steven Wilson made from the multi-track master tapes PLUS 5 bonus tracks, two previously unreleased. The DVD features a new 5.1 surround mix by Steven Wilson and a 24-bit flat transfer of the original 1975 stereo master tapes. Besides this Expanded Edition there is also a Super Deluxe Box Set. The clamshell box packaging includes a booklet with photos, memorabilia and an essay. Blackfield IV - new release on DVD-A/V out on K-Scope August 26, 2013. 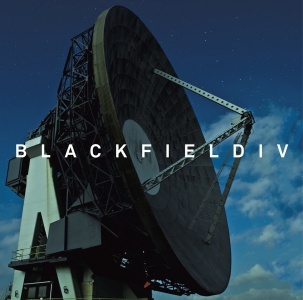 This is the first Blackfield studio album to get the full 5.1 treatment. Israel’s leading counter-culture rock musician Aviv Geffen returns with Steven Wilson and other special guests Brett Anderson (Suede), Jonathan Donahue (Mercury Rev) & Vincent Cavanagh (Anathema) for the new studio album. Aviv contributed the writing and vocals on Blackfield IV, with Steven Wilson – who also mixed the album into stereo and 5.1 surround sound – adding guitar and vocal parts. The new album includes guest vocal performances from Brett Anderson (Suede), Jonathan Donahue (Mercury Rev) and Vincent Cavanagh (Anathema). The album is available on double vinyl and as a 2 disc set. 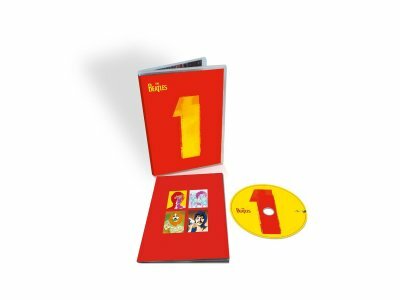 The limited 2 disc digi-book edition includes a DVD-A-V featuring the surround mix presented in MLP Lossless & DTS 96/24 and a 24-bit stereo mix presented in MLP Lossless & LPCM. For an overview of titles you may have missed in 2012, here's a round-up. 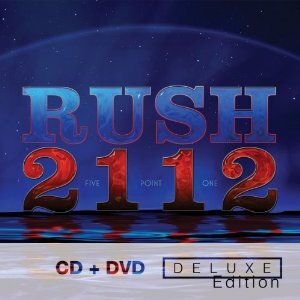 They're taking it slow but well over a year and a half since Moving Pictures was reissued on CD + DVD-Audio and CD + Blu-ray Disc (see below, March last year), Rush' album 2112 got the remastering treatment and gets reissued on those same formats. December 18 (just in time for Christmas) both will be released – the CD + DVD-Audio in the same type of digipack like the previous album, but the CD + BD-Audio as part of a deluxe package that also contains a comic book. And thus, 2012 is going to end again on a positive note for DVD-Audio. The latter is Pioneer's typenumber for Japan and Europe. For North America Pioneer has yet to announced the equivalent product's type number. The Oppo BDP-103 should follow shortly while the BDP-105 should be out by the end of 2012 or early 2013. The other brands' are already available for (pre)order. In the meantime you'll find all of these and many others in our Universal Disc Player overivew. 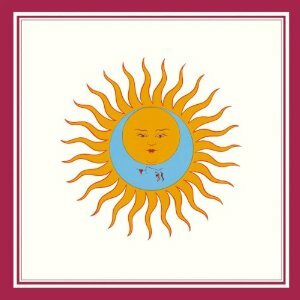 Good news, esepecially for fans of progressive rock: First of all the next remastered King Crimson album, Lark's Tongues in Aspic, will be issued by the end of this month (October 30) and is available for pre-order from Amazon and CD Japan. Latter site reports that the CD disc in the 2-disc package is an HQCD. 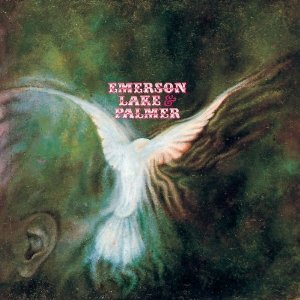 Moreover, since one week (September 25) two remastered Emerson, Lake & Palmer albums are available on DVD-Audio as part of similar deluxe editions: their eponymous album and Tarkus. Some recent hardware news we've been meaning to share: First of all, Denon's got a new universal Blu-ray Disc player: the DBT-1713UD. As can be expected, it plays Blu-ray Disc, DVD-Video, DVD-Audio, Super Audio CD and Red Book CD, plus probably a range of other flavors as well as various streaming formats. On the back we see no ananlog multichannel out (and no Denon Link either?) but we do find an HDMI port for high-resolution digital surround output. Suggested Retail Price is $499.99. Where the rear panel of the Denon is rather sparse, that of the Primare BD32 universal BD player we reported on earlier this year turns out to be quite the opposite with a plethora of connections. The inside looks interesting, too. The Denon and the Primare are both listed in our overview of universal Blu-Ray Disc players. In Japan meanwhile, JVC/Victor continues its line of compact universal DVD players (see previous models below) with the ES-X1000. 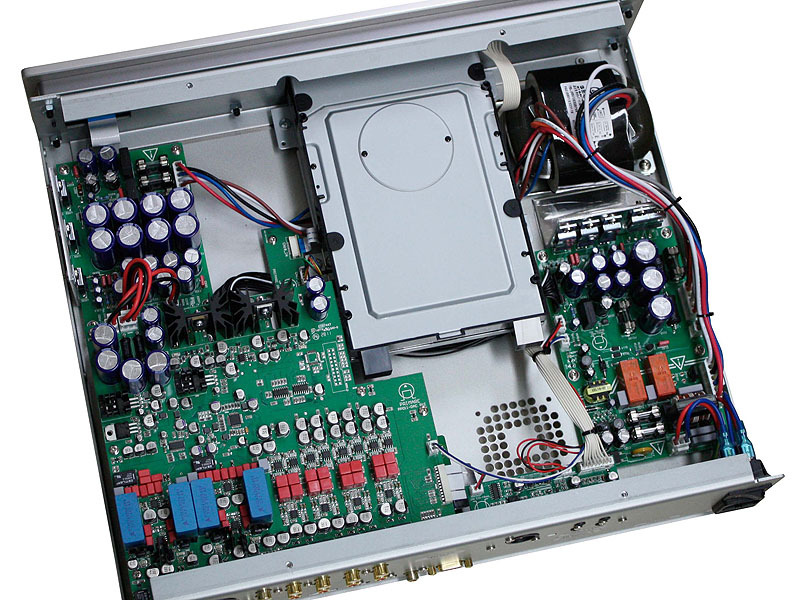 Unlike most of those cases however, this time the player and AV receiver are not separate components but integrated in a single unit, bundled with a set of speakers. Stereo, not multichannel. There's a press release by the manufacturer and more coverage by AV Watch, both in Japanese. Swedish metal band Katatonia have released a new DVD-Audio/Video album -- their fourth one, apparently. It's titled Dead End Kings, is part of a Special Edition CD package and is available from Amazon Germany. Hopefully soon also from Amazon UK and other outlets including our own store. 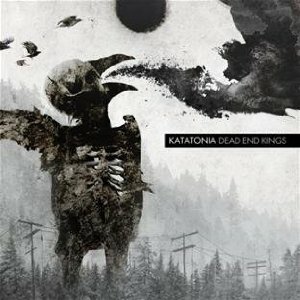 Neil Wilkes writes: "A new DVD-A/V title from Katatonia, entitled "Dead End Kings", is scheduled forrelease on August 27th. Featuring 5.1 mixes from Jens Bogren (who also did their last 3 albums) in MLP Lossless & DTS with 24-bit LPCM this is to be released on the Peaceville imprint & full details can be found at deadendkings.com as well as being available for pre-order at Burning Shed in a limited deluxe edition. Should be great!" The live album we wrote about below is ready. King Crimson's Live in Argentina 1994 is now listed on Amazon. Neil Wilkes, who authored the discs, writes: Featuring the live line-up known as the "double trio", this set is the full performances from 8 October 1994 in Argentina, and now available from DGM Live shop. We think this is a first, as not only do you get each show (Matinee & Evening performances) in their entirity with LPCM stereo & Quad DTS at full bitrate, but there is also an MLP Lossless stream of each show in full resolution too. To quote from the website... As any fan fortunate enough to have seen the double trio lineup will tell you – even by King Crimson’s high standards – this was a spectacular live band. 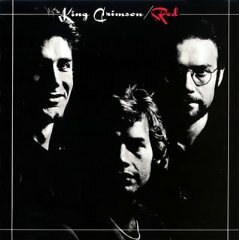 While a return of King Crimson had been planned as early as 1990, it was only in 1992 that the idea of a double trio line-up emerged as the ideal and it took until 1994 to get all the necessary musicians and plans sufficiently in place. The new band recorded the mini album “VROOOM” in the Spring of 1994 and, following further rehearsals in the summer and early autumn, performed a series of concerts in Argentina, including a run of shows at Teatro Broadway, Buenos Aires in October. 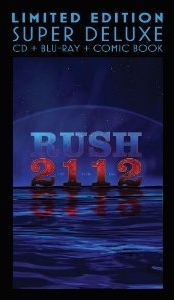 This 2 disc set features a full matinee and evening concert from that venue. Taking in material from as far back as 1972, with pieces from “Larks’ Tongues in Aspic”, the title track from 1974’s “Red”, songs and instrumentals from each of the 1980s album trilogy and new material from VROOOM and THRAK (which was recorded soon after these gigs), the shows present a band with an abundance of material old & new, eager to perform and with the full support of an audience ready to celebrate King Crimson’s return to the stage. 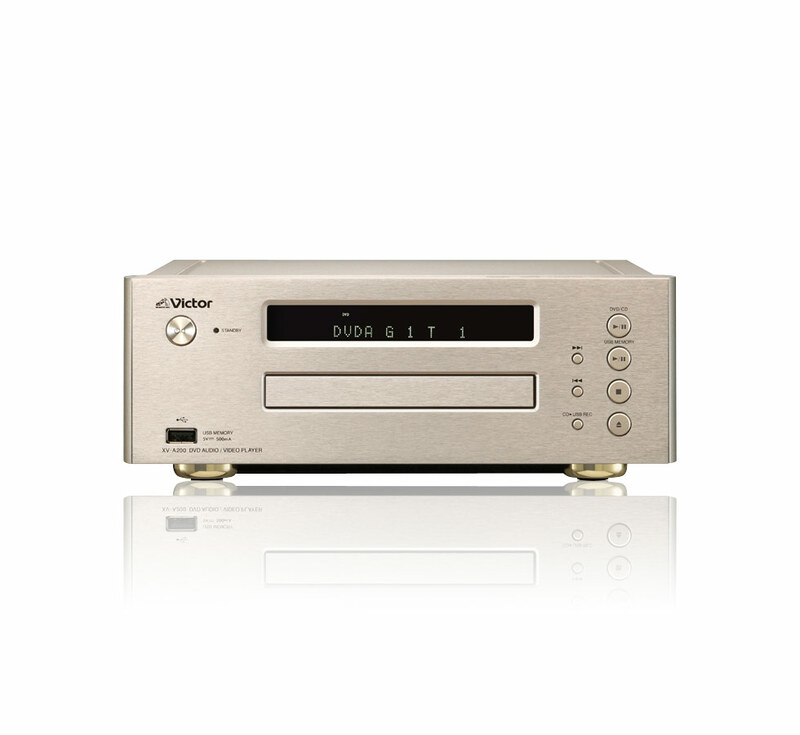 The audio/video section of each disc is playable in DTS 4-channel surround or LPCM stereo. Fans with DVD-A players can access an additional audio disc layer with full MLP Lossless sound. 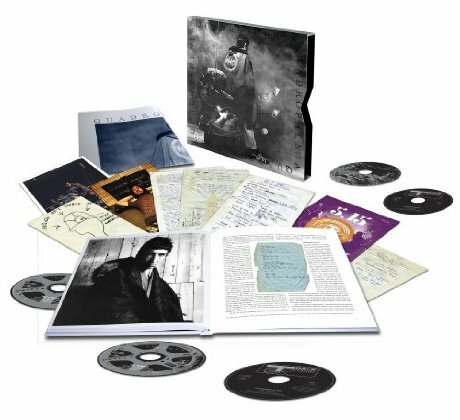 Amazon adds: Packaging as per 40th anniversary series with gatefold digipak, booklet with sleeve-notes, technical notes & photos in slipcase. 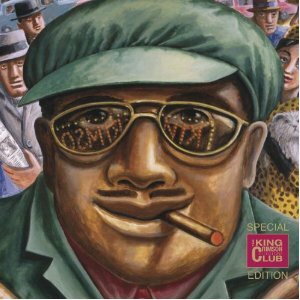 More King Crimson DVD-Audio discs are on the way. Neil Wilkes of Opus Productions writes that in 2012 from their "Collectors Club" series there will be a DVD-Audio/Video release with full Matinee and Evening performances, recorded in Argentina, 1994; one disc per show. The video section will contain LPCM stereo and DTS 4.0 while the high-resolution audio-only section will hold the complete show in MLP lossless. As far as we know it's a first to have a full concert on DVD-Video with the audio in high-resolution. More on each of these three upcoming releases closer to date. One album has received the multichannel remastering treatment and appeared on DVD-Audio for the first time: Quadrophenia by The Who. 8 tracks have been remastered in glorious 24/96 5.1 surround. Unfortunately, this disc is only available as part of a Super Deluxe Edition box set. 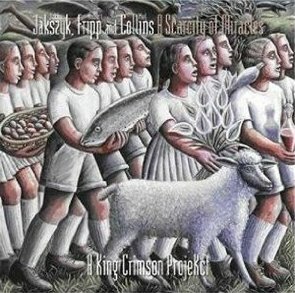 The other one is also part of a multi-disc package but a simple CD+DVD: A Scarcity of Miracles by Jakszyk, Fripp and Collins - 'A King Crimson Projekct'. This is a new album that was first released in 2011. 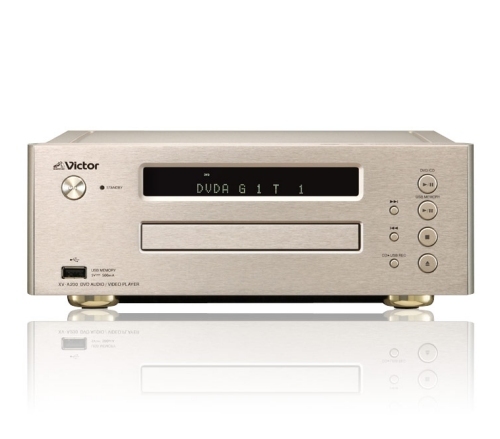 On the hardware side, Japan Victor Company (JVC) has introduced the XV-A300 DVD-Audio/Video player which together with the RX-A300 integrated amplifier and SX-WD300 speaker system forms the EX-A300 set. Only in Japan, of course... Press release by the manufacturer and more coverage by AV Watch, in Japanese. 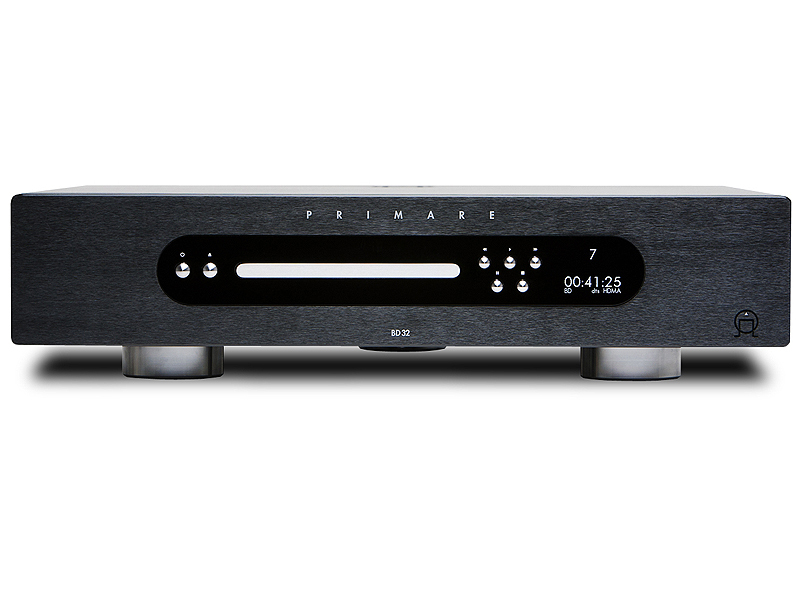 A DVD-Audio player that's available more or less worldwide is this new universal Blu-ray Disc player by Primare, the BD32. 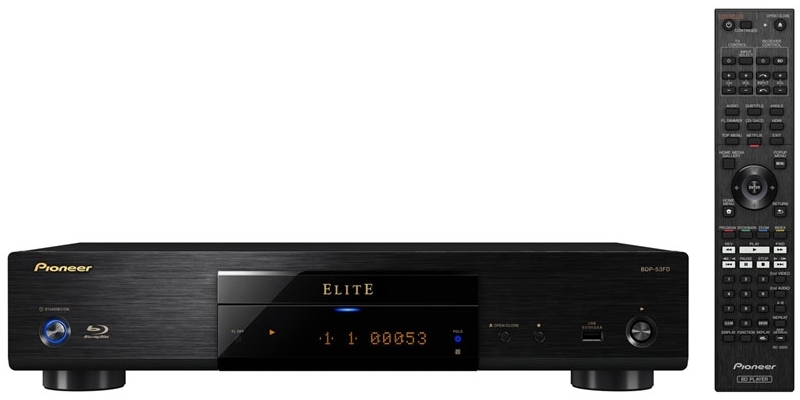 Not entirely surprisingy, at CEDIA 2011 Pioneer has launched a pair of Elite brand Universal BD players, likely equivalents of the two European models announced at IFA a week ago (see below) judging by the specifications. The American models are called Pioneer Elite BDP-52FD and BDP-53FD. The BDP-140 has also made its way to the other side of the pond. SRP is $499, $399 (and a mere $199) for the respective players. Both will play Blu-ray 3D, DVD-Video, DVD-Audio SACD and CD discs plus FLAC, MKV, DivX Plus HD, WMV, WMA and MP3 files. 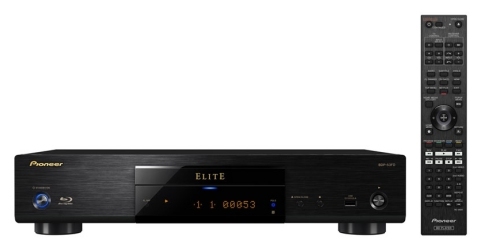 Other new features include PQLS and double gold-plated HDMI ports on the BDP-LX55. Also available is a free Pioneer iControl AV2 app to control both players. The BDP-440 will be out in October, the BDP-LX55 in November. 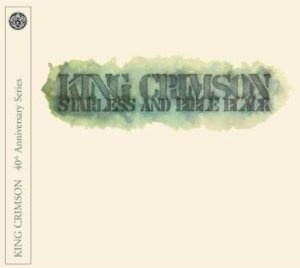 The two new King Crimson album reissues we reported below, Discipline and Starless and Bible Black are now available for pre-order from Amazon. They'll be released October 11, 2011. All seven albums released or announced thus far you'll find here. 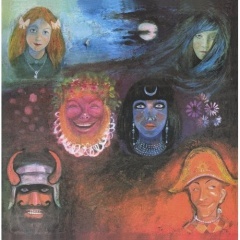 The next two King Crimson titles in the 40th Anniversary series are in production. Neil Wilkes writes: The next 2 in the series will be "Discipline" & "Starless and Bible Black". Once again, these will feature brand new 5.1 and stereo mixes by Steven Wilson - who's first grammy must be a matter of time now, surely - and the much loved original stereo on the 30th anniversary edition masters all in 24/96 resolution. In addition, "Discipline" has a plethora of extras, including the original rough mixes in the originally planned running order (absolutely fascinating to hear these), plus a selection of out-takes, alternate versions & some footage from the BBC's "Old Grey Whistle Test". "Starless & Bible Black" also has the new 5.1 & stereo mixes by steven, as well as the 30th anniversary master of the original mix. Bonus content here is a selection of various material, including live tracks recorded in Zurich 1973 and an assortment of alternate takes, rarities and promotional material. These discs will be crammed to the rafters, with all content in MLP Lossless, DTS and 24-bit LPCM and no Dolby Digital in sight anywhere - as it should be for a music release. In hardware news, there's a new universal Blu-ray Disc/DVD player from Yamaha that supports DVD-Audio as well as DVD-Video. It's the Aventage BD-A1010, successor to the BD-A1000 from 2010. MSRP is $499.95. Here is a complete list of such players. 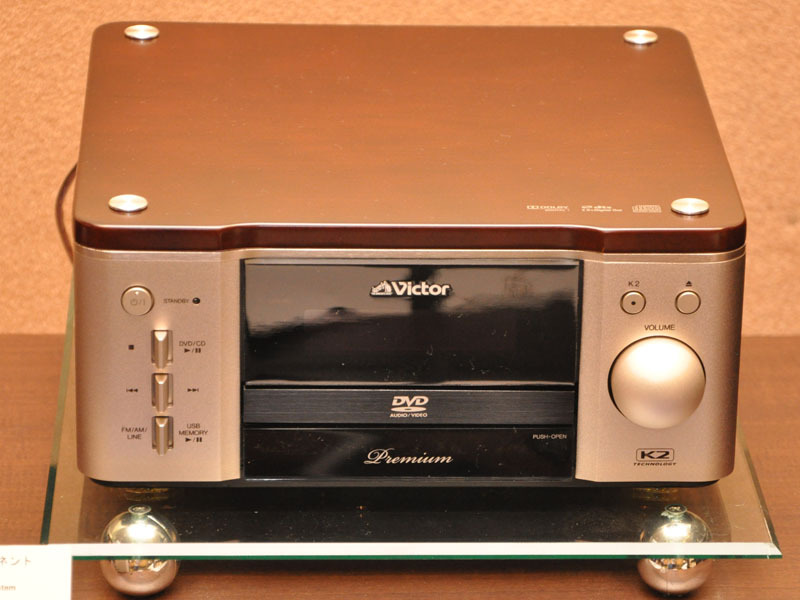 In Japan, we also still see compact HiFi sets with DVD-Audio coming to market, like this Victor EX-AR9. Why only in Japan? We don't know. Perhaps because this is Victor, the domestic brand of what's globally known as JVC (Japan Victor Company), just like the one we saw several months ago (see January coverage below). Here's the press release (in Japanese, via AV Watch). 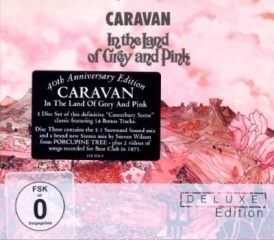 Correction: the Caravan DVD advertised above and reported below is not a DVD-Audio disc as it does not contain a high-resolution multichannel PCM track. In fact it does not even contain a DTS track: the only surround sound is encoded in Dolby Digital. Apologies for our mistake, but shame on Universal for making such poor decisions. 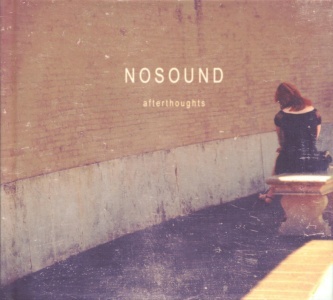 Several new albums have been released on DVD-Audio in recent months. Here's an overview. First of all, since having completed five remasters of King Crimson albums, Steven Wilson from Porcupine Tree has turned his attention to British progressive rock band Caravan. He has remastered and remixed their album In the land of grey and pink in stereo and 5.1, both of which you can find in high-resolution PCM on the DVD-Audio that's part of the 3-disc 40th anniversary edition. Out as of June 7, and reviewed here (sadly only the stereo portion). 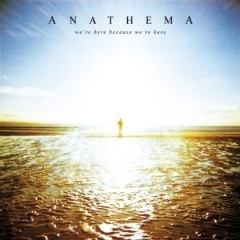 Wilson is also responsible for the 5.1 mix of We're here because we're here by Anathema, a British rock band that nowadays are often considered prog rock.The DVD features both Advanced Resolution (MLP) streams and DTS streams. There is a full (independent) review - sadly only talking about the stereo mix - at Adequacy.net indie music reviews. The 5.1 DVD-Audio is part of a 3-disc package with a CD and a 7-inch, wrapped in a nice 7" gatefold sleeve/'bookshelf' type package. On K-Scope records. 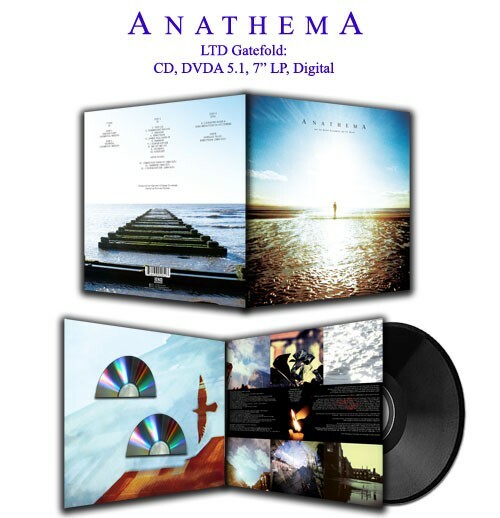 More Anathema music here. 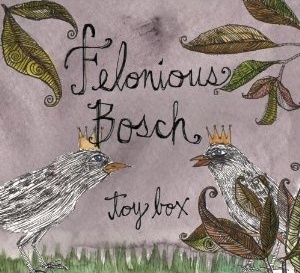 Felonious Bosch have also released an album on DVD-Audio. Steve Clarke of Minnetonka Audio Software writes in the DVD-Audio group on LinkedIn: "I am very happy to let you all know that the Felonious Bosch has released it's DVD-Audio disc of Toybox. ... A giant thank you to the fabulous Neil Wilkes who authored the DVD-Audio disc. 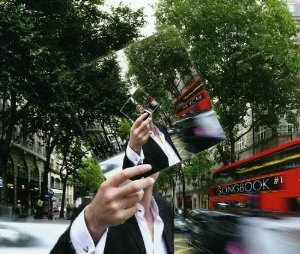 Neil has authored DVD-A's for Porcupine Tree, King Crimson and many others. ... His work is excellent and needs to be experienced first hand if you have not done so already. " 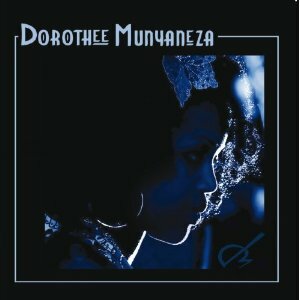 Lastly, Rwandan world music artist Dorothee Munyaneza has released a self-titled first album as a DVD-A/CD double pack which includes 5.1 versions in MLP high-resolution, dts 96/24 and Dolby Digital, Stereo LPCM and a dvd-rom folder of pre-diced mp3 versions with embedded artwork, desktop wallpaper and web links plus several extras. Label Luminary Records, 'a newly-established high-resolution surround music label based in London', wanted to emphasize the surround and high resolution content over the CD hence the way it is written. This is a glorious record, and they also put out a 2-track teaser recently as a try-before-buy deal. Both this and the full record are available through the label as well as Amazon (UK), where there are already some very favorable reviews up. Even in 2011 we continue to see DVD-Audio releases. 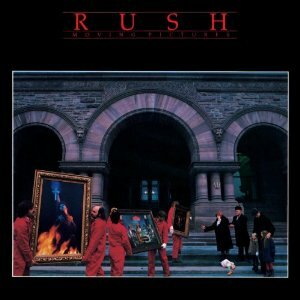 Candian progressive rockers Rush are about to reissue their album Moving Pictures in the form of a 30th anniversary deluxe edition, or in fact two. One consists of a CD and a DVD-Audio, the other holds the same content on a CD and an (audio-only) Blu-ray Disc. The DVD and BD will feature a new 5.1-channel mix of the album presented in 24-bit 96 kHz PCM, DTS 5.1 and Dolby Digital as well as a high-resolution stereo PCM mix. Both sets are scheduled for release next month (April 5) and available through Amazon (pre-order). New DVD-Audio players still get developed and released, basically in the form of upmarket DVD-Video players and universal Blu-ray Disc players. The former type are getting rare but occasionally they still show up, like this beautiful and compact Victor (JVC) XV-A250 player (equipped with a convenient USB port), which together with receiver RX-A250 and a nice pair of speakers SX-WD250 forms the EX-A250 system (see press release and coverage, in Japanese) . It appears to be for the Japan market exclusively though. All of them are now added to the Universal BD Player page. We're on Twitter now. We'll use it to announce news updates and perhaps interesting postings from the forum. We may also retweet relevant stuff from others. You can subscribe to our tweet feed here. 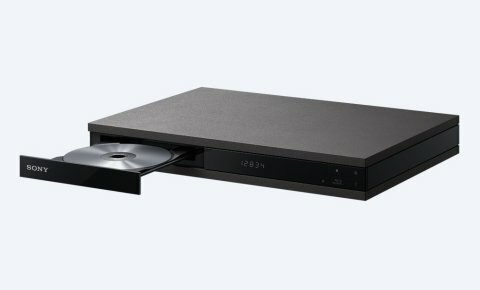 Oppo has announced the BDP-93 -- a brand new universal Blu-ray Disc player that, like all its predecessors, plays DVD-Audio. Other, new features include: Blu-ray 3D playback, streaming of Netflix and other network services, Wireless-N networking, dual HDMI outputs, dual USB ports and an eSATA port. 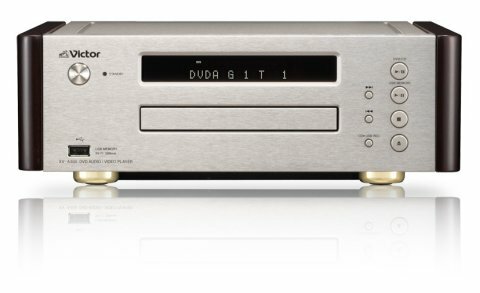 It's Oppo's fourth universal BD player, or their fifth if we include the modified NuForce edition of the previous flagship model. Either way, it brings the total number of such players to 19. Here is a quick rundown. 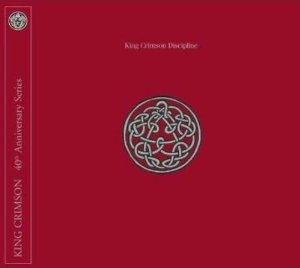 Following the first batch of King Crimson 40th Anniversary Editions last year (see post below), next month we'll get the second installment, with a fourth and fifth album reissued on DVD-Audio, remastered and remixed in full 5.1-channel: Islands and In the Wake of Poseidon. 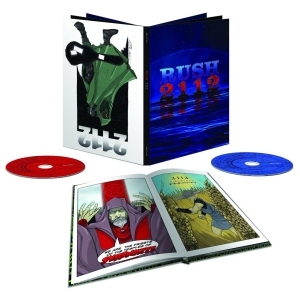 Both reissues consists of a CD and a DVD-Audio disc, where the CD contains the new mix of the album plus several bonus tracks, and the DVD-Audio disc contains the original mix in high-resolution stereo PCM, the new mix in high-res stereo PCM, and the new multichannel mix in MLP lossless surround sound as well as DTS 5.1. They'll be released October 12, 2010. Today sees the release of a DVD-Audio title again. The first one in a while, and it's been in the making even longer. 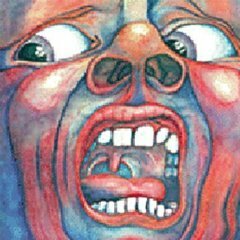 In the Court of the Crimson King, recorded 40 years ago, was supposed to be released on multichannel SACD 10 years ago but got canned. Now there's the 40th Anniversary Edition released today. The Deluxe package contains a CD and a DVD-Audio disc. This 5.1 mix was made by Steven Wilson of Porcupine Tree with Robert Fripp, the founder of King Crimson, as executive producer. While at it, they've done the same for Red, reissued a month ago and Lizard, scheduled for January. Is it possible we get two DVD-Audio releases in less than a month? Of course, but in this case there may be a mistake. Amazon.de lists a Tangerine Dream concert, Live at the London Astoria Theatre, to be released November 20, 2009, as DVD-Audio. Would Sony Music really issue a DVD-Audio title? The Sony Music site says so but we suspect it's actually a DVD-Video disc (just like this one: Live at the Tempodrome Berlin - September 21st 2006). Still, it could be interesting. Not yet available but announced today is a new piece of DVD-Audio-capable hardware, the Special Edition of the Oppo BDP-83. All enhancements are in analog audio processing, which is good news for DVD-Audio fans who use the 5.1/7.1 'RCA type' cinch outputs rather than the digital HDMI interconnect. This table explains the differences between the two models. The BDP-83SE will cost $400 more than the regular version, making it almost twice as expensive. 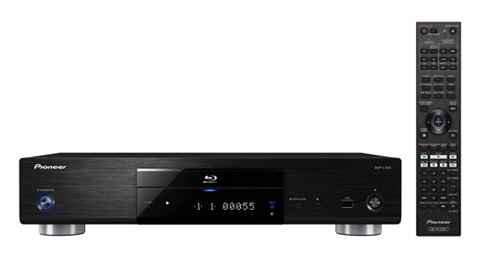 There's a new DVD-Audio-compatible Blu-ray Disc player coming to market: the Oppo BDP-83. It's not the first one -- that was Panasonic's first-generation BD player DMP-BD10A -- but it we ignore HD-DVD then this will be the first universal disc player, supporting Blu-ray Disc, DVD-Video, DVD-Audio, Super Audio CD (SACD), CDDA and a range of standard variants. The year is coming to an end so it's a good time to look back. 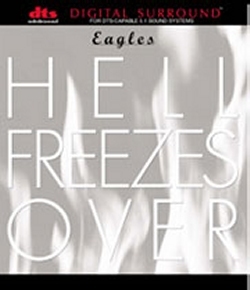 What we see is that although new DVD-Audio titles have come out this year, the best-selling release through this site this year has been: Hell Freezes Over by The Eagles, which isn't even a DVD-Audio disc really -- it's a DTS-CD, also available as on DVD-Video with DTS soundtrack. 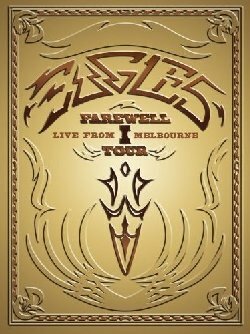 If you like these items you may also be interested in Farewell I Tour - Live from Melbourne -- another DVD-Video, even available on HD-DVD. We foresee this performance will be released on Blu-ray Disc at some point in the future. The DVDs each contain the whole album mixed in Dolby Digital 5.1 and 96-kHz/24-bit DTS, as well as video bonus-material. We know, this is not real DVD-Audio but it's still awesome! There is a bonus disc with non-album material. There is an SACD version too (released outside of the US). 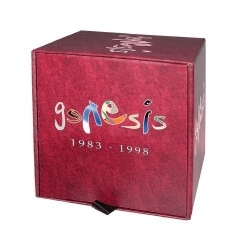 You can find the box on the Genesis page in our Music Store. Each deluxe package consists of multiple CDs plus a DVD-Audio disc containing the film score in surround sound. Check the Soundtrack section of our music store. R.E.M. 's new album, Accelerate, is out now. 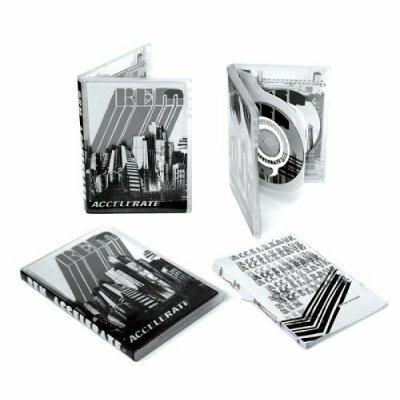 There may be no DVD-Audio version of this album but there is a special CD+DVD package that features a 64-page book and the Vincent Moon film 6 Days (which includes behind-the-scenes footage and performance pieces of various songs on the album) plus two bonus tracks "Red Head Walking" and "Airliner." For R.E.M. 's collection of DVD-Audio albums click here or check our music store. 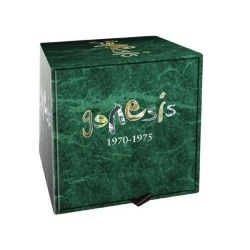 Last year, most of Genesis' albums were remastered and reissued in the form of two box sets, "Genesis 1976-1982" and "Genesis 1983-1998". Only the box set of the earliest years is yet to follow, some time this year. In Europe and some other parts of the world this was done using the SACD format but not in North America, like with other reissues (such as the Depeche Mode albums). Now Rhino has the same high-resolution 5.1-channel mixes and released them as CD+DVD sets. The DVDs aren't DVD-Audio discs but they do contain 24-bit 96 kHz DTS Surround sound, making them playable on regular DVD players. Check our Music Store or go directly to the Genesis page. Amazon Germany has some special offers for 'High Definition' music: an interesting selection of DVD-Audio titles (plus quite a few SACDs) with prices reduced by several euros. 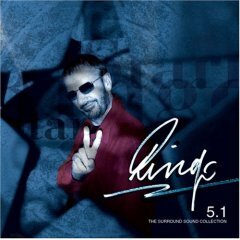 A major artist enters the DVD-Audio fray today: Ringo Starr! 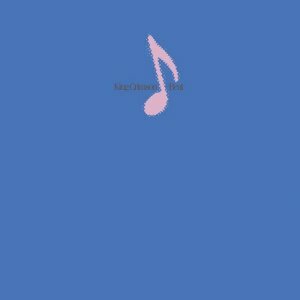 Check the Top Picks in our music store for his 'Ringo in 5.1' album or just click on the cover below. Welcome to DVD-A.net. At this site we aim to provide as much relevant information as possible about the DVD-Audio format -- about the standard and the hardware but above all about the music. Although DVD-Audio has been around for a while this site is still fresh so please have some patience and check back frequently. In the meantime, we're open for business! Visit our DVD-Audio store. The shop is not complete yet but we've got a substantial number of DVD-Audio titles covered. In the near future we aim to add an overview of (available) DVD-Audio players i.e. hardware, plus perhaps a list of suitable AV Receivers. Do check back. If you want to bookmark or share this page just click the button at the bottom.